Is Laser Dentistry the Answer for Your Dental Phobia? If going to the dentist makes you anxious, you are not alone. 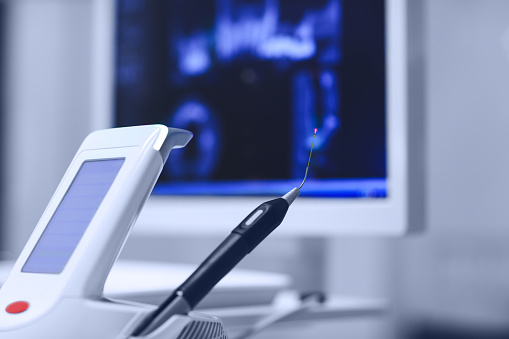 Fortunately, your dentist has a strategy that can help you approach dental care with more confidence: laser dentistry. 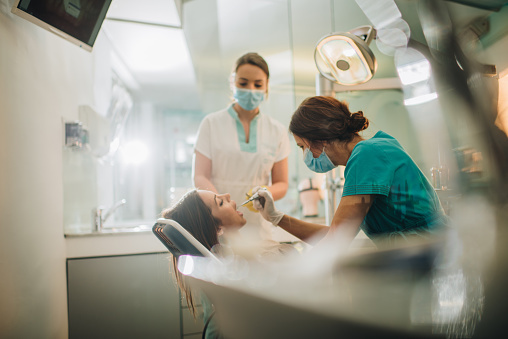 Laser dentistry has dramatically changed the way that dentists perform a wide range of treatments, and as a result, more and more people who suffer from dental phobias are finding their ways back to the chair for treatment. Could laser dentistry be the solution for your anxiety about seeing the dentist? Here are some of the advantages of laser dentistry that make getting care easier than ever. Laser dentistry makes it possible for you to get treatments, such as fillings, without the use of a drill. Many people who are anxious about dental care dread the sound, vibration, and smell of the dental drill, but with the help of lasers, it can be replaced completely. In some cases, laser dentistry treatments can be performed without any anesthesia at all, which means patients also avoid the injection of local anesthesia that many dislike. Even when anesthesia is necessary, it is usually possible to use much less during laser treatments, which means fewer shots and a faster recovery. Laser dentistry allows for more precise treatments, which means procedures can be completed much faster. Treatment times are also reduced because little to no anesthesia is required. Patients who experience dental phobia usually appreciate the ability to have shorter appointments with faster treatment times. Because the dental laser reduces the need for drilling, there is far less bleeding and swelling during and after treatment. For most people, this means that there is much less tenderness and bleeding after treatment, allowing you to return to your usual activities faster. Do you have questions about laser dentistry in Hazlet? Call Glenwood Premier Dental to learn more about our laser treatments and to make an appointment for dental care. Dial (732) 264-4477 to talk to a team member today. If you have missing teeth, it’s natural to feel a little self-conscious about your smile. Fortunately, your dentist can help you regain your confidence in flashing your grin with natural-looking, comfortable dental implants. Could you be a candidate for dental implants? 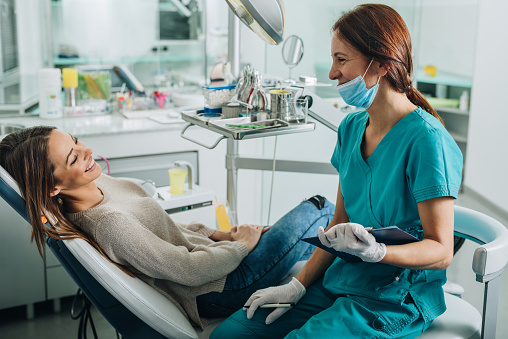 The best way to find out about restorative care, including dental implants, is to schedule an appointment with your dentist for a consultation. The answers to these common patient questions about dental implants will also help you understand your options for restoring your smile. Dental implants consist of a metal post that is implanted into your gum tissue to act as an artificial tooth root. A dental crown, designed to match your natural teeth, it attached to the post via an abutment. Once in place, dental implants look and feel like natural teeth. You can eat and speak as normal and brush and floss them just like your teeth. Many people who are missing teeth find that dental implants are more comfortable and require less maintenance than dentures. Dental implants can work for people are missing one tooth as well as people who are missing all of their teeth—and everything in between. Dental implants are safe and effective for most people, but you must have enough bone in your jaw to adequately support the implants. If your dentist thinks that you not have enough bone, he or she may recommend bone grafting before you get dental implants. With proper care, dental implants can last indefinitely. Brush and floss them as you would your normal teeth, and continue to have regular teeth cleanings with your dentist. You can’t get a cavity in a dental implant, but gum disease can occur around an implant, so maintaining a good hygiene routine is critical. Find out how dental implants can change your smile by making an appointment at Glenwood Premier Dental for a consultation. Schedule a visit to discuss dental implant in Hazlet by calling (732) 264-4477.